Time for another Fortnite bug-squash! Epic Games applied some quick fixes to its latest content patch for Fortnite Battle Royale and Fortnite Save the World. Such is the way of game development: Bugs follow big game updates in the same manner wolves trail roving packs of wild cattle. 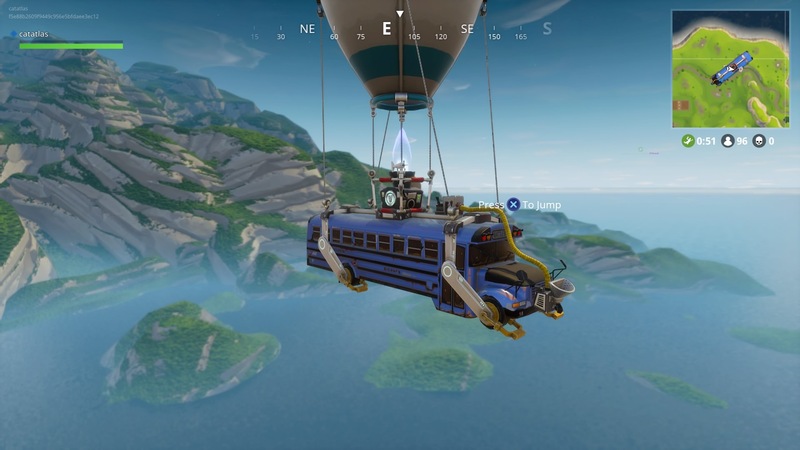 Hopefully there aren't any bugs on the Battle Bus. I've heard stories about roaches in coaches. Fortnite's v3.5 update added a lot of new content to the game, including a handy-dandy Replay camera that lets you save and re-watch your matches from multiple camera angles. It also improved performance for the console versions of the game (PlayStation 4 and Xbox One) and added faster load times. With all the new stuff Epic keeps adding to its mega-hit battle royale game, staying alive can be tough. We're on your side, though. Take a look at our tips, hints, and guides for Fortnite Battle Royale that tell you everything you need to know about the game's best weapons and building techniques. Tagged with Epic Games,	News.